Lurker unlurking because I’m like twisting around on my chair and punching myself. I LOVE THIS COMIC SO MUCH, I REALLY DO. I’M NOT JUST SAYING THAT. I love the way you, zhe creator, draw it. And (as one example of great storytelling) how you, in pages like this one, let silence be silent. It’s just wonderful how images can speak loud and clear by themselves. 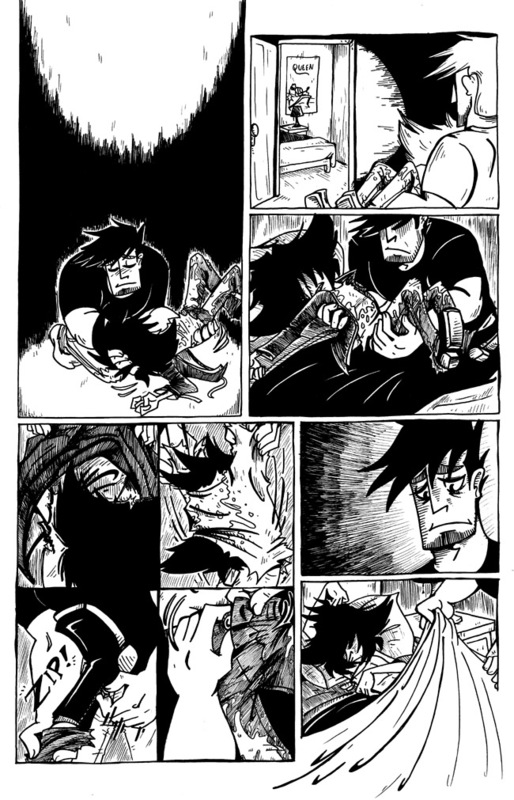 *sniffles* so many feels…..Eddie…..I want to cuddle you. I’m at a loss for words. I feel tear jerked. Oh Eddie, sweet, sweet, Eddie. If only I was a guy I would make you happy. But seeing that you crave fritz you tend to crave the abuse. It’s like that song by yourfavoritemartian “complicated”.